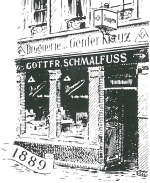 1889 The pharmacist Gottfried Schmalfuß founds the chemist store "Zum Genfer Kreuz" on the 1st January 1889 in Cologne. The store is connected to the production of chemical-technical and pharmaceutical preparations. 1893 The Berlin patent office registers design protection for the STYX moth repellent tablets. With it, the product name known today is introduced early on. 1942-1945 The war claims its victims: The business is relocated abroad. However, the company resumes production in Cologne in 1945. 1978 The company expands. The business is required to relocate multiple times: From Rodenkirchen via Cologne, Erftstadt to Kerpen-Türnich. Here, the company management and employees move into a newly-built office and factory building. 1989 A successful idea and well-engineered design mean major market success for STYX perfumed petroleum and STYX petroleum lamps. 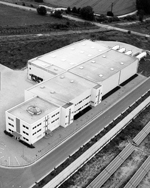 In Kerpen-Türnich, the company lays the foundation stone for a large, modern high bay warehouse. 1992 Takeover of the production facilities for coal lighters from the former trust company Addinol Mineralöl GmbH Lützkendorf in Braunsbedra / Saxony-Anhalt. The immediate initiation of restructuring and investment measures guarantees high performance production facilities for liquid, paste and solid lighters. From Braunsbedra, goods are distributed to the new German states and Eastern Europe. 1996 A modern administration and production building is officially opened in Braunsbedra / Saxony-Anhalt. 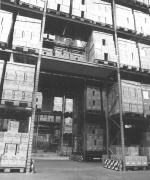 2008 Concentration of the production capacities and the entire logistical services in our factory in Braunsbedra. Relocation of the complete administration in Kerpen to a modern office building. 2008/2009 Introduction of child-proof oil and petroleum lamps in accordance with the European standard 14059:2002. 2010 Introduction of STYX Naturel perfumed lamp oil based on renewable raw materials, as a result of a further tightening of the EU ordinance EC 276/2010 and the ongoing discussion regarding low viscosity lamp oils with a mineral base.